Thanks should go to Bureau of Manpower Employment and Training (BMET) for continuing arbitration mechanism in order to bring change in faulty migration process in Bangladesh. So far I can remember the outset of arbitration process which helps me go back in October 2007, when 80 migrant workers were facing dire trouble in Malaysia. They took stand in front of Bangladesh High commission in Malaysia and declared hunger strike in a jigsaw position. After a day or two, when the situation had been becoming worse then we received this horrendous news through BBC and some Bangladeshi satellite channels with a wide coverage. Resultantly civil society, development workers and people across the country were burst out with the migrant plight and shown their solidarity that led to move government to send three government top-notch among them importantly were Mr. Abdul Matin Chowdhury and Mr. Selim Riza. Reaching Malaysia they rushed to the migrant groups and made a compromise with the agitated workers under 3 conditions among them were to fly back all migrants to Bangladesh, 84,000 tk. along with additional money would be given back by the Golden Arrow (the disputed recruiting agency) and every worker will get 7 months' salary in Malaysian pay scale. This deed pacified the migrant workers for a while but fuelled to their agitation again while 25 migrants were brought back to Bangladesh according to its terms and conditions. They took stand in airport and raised their voice for money back. On that night, Mr. Abdul Matin Chowdhury went to airport and persuaded them that immediate action would be taken through arbitration mechanism to fulfil their demand list. Thus, arbitration process was first introduced in order to settle the dispute of these 80 migrant workers. A great handful of sacrifice was made remarkably, is the leave from the earth of Mahesh Sarker and many unnamed bits and pieces of struggle on road, park, over bridge, church, mosque etc. Now these days, arbitration has become a regular work in BMET which is helping many migrants for getting money back from unscrupulous recruiting agencies and middlemen. Relevant to say that as of July 2, 2008, IMA Research Foundation has helped to file 68 arbitration applications to BMET and has received around 3 crore taka as compensation for 264 migrant workers. This unprecedented success has inspired IMA for further move towards welfare of most deprived migrant workers. While they were deported to Bangladesh, they were totally hopeless in life and felt themselves as a burden to the family and society. Today, through the arbitration compensation results, they have started their lives again and many migrants have been waiting for arbitration results. This is not all, there is dark under the candle which is becoming as clear as daylight such as BMET investigation personnel allegedly are making nexus with recruiting agencies that is brining dim in migrant justice. When migrant workers are receiving letters by that time hearing date is already over which is the result of BMET's snail performance or may be intuitive conspiracy. Sometimes arbitration files have been lost. Many of deportee migrants have filed applications for arbitration last January this year and they are yet to receive any hearing date. Somebody has been heard twice or thrice, no results earned yet, though it is in black and white that BMET will give results by three hearing. In addition deportee migrants are not getting the stipulated 84,000 taka just because they are unable to show the relevant documents or recruiting agencies trapped them by getting their signatures on promissory papers that disentitle the workers from receiving any compensation. 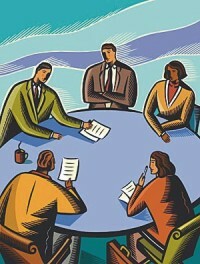 These are just few words of irregularities in the arbitration process. Arbitration creates hope among us that it will empower migrants to get a space to express their dispute in order to have quick results. But in recent days, arbitration system has been innerving problem and making the process porous. Deportee migrants are mostly the clients of arbitration. As soon as they are deported, they file complaints against their respective recruiting agencies for getting true justice. In fact, arbitration is the last hope for deportee migrants; it is a place for expressing their grave grief and right settlement between unscrupulous recruiting agencies and deportees under the supervision of Bureau of Manpower and Employment (BMET). BMET should heed the matter most seriously to bring order in manpower export. The writer is social entrepreneur and development worker.